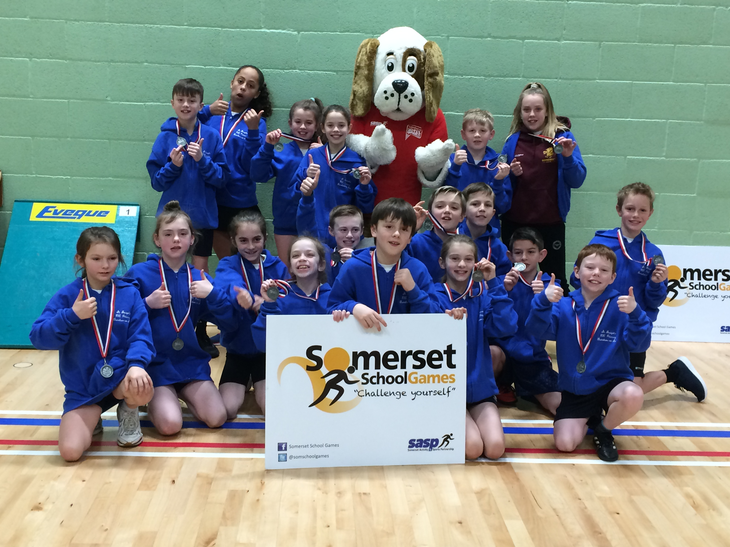 A huge well done to the 9 boys and 9 girls who competed in the County Sports Hall Athletics School Games Finals held at Richard Huish College on Tuesday. The children were fantastic, running, jumping and throwing their way to success! The level of effort and determination displayed by every member of the team was just incredible. St Joseph's is not the biggest school in the County and to finish second in a County final with a school the size of ours is almost unbelievable. Well done to everyone who was part of this team - You were all amazing!! !